Heather B. had water leaking into her basement and multiple cracked and bowing foundation walls. She wanted to address these problems before they got any worse, so she contacted American Waterworks to receive a FREE estimate. One of our Design Specialists created a thorough foundation repair and waterproofing plan to restore her basement. Heather chose to move forward with installing our systems, so our production crew installed our WaterGuard drainage system, our SuperSump sump pump, wall anchors and PowerBraces. The project took two days, and now Heather's basement is permanently protected, and her peace of mind is restored. If you have foundation or waterproofing needs, click here to receive a FREE estimate! Kris R. in Oelwein, IA was suffering from a wet basement. She had been dealing with this challenge for a couple of years and was ready to find a long-term solution. She contacted American Waterworks, so we sent one of our Design Specialists, Mac Cole, to her home to inspect the basement and develop a solution. She was impressed with our products and agreed with the proposal, so she set a date to have our waterproofing system installed. Our production team installed the WaterGuard drainage system around the perimeter of the basement floor and connected it to the TripleSafe sump pump that we installed. After the drainage system and sump pump were installed, we replaced the concrete and cleaned the work area. The installation took two days to complete, but now her peace of mind has been restored and she is confident that her basement will remain dry. This house that I am looking at buying I would like an estimate before I purchase it to give me an idea of the investment I will have before hand. NexusPro is a durable binding agent used to repair cracked concrete slabs on your Oelwein property. SealantPro seals concrete driveways and pool decks, restoring quality and protecting against UV, weather, oil and water damage for 3 to 5 times longer than other concrete sealants. Repair your concrete and seal in quality with our concrete protection system. Are you concerned about water in your basement or crawl space, or cracks in your foundation or concrete slabs? American Waterworks is your local expert in all of these services and more. We offer free estimates to all of our customers in Oelwein, IA and throughout the surrounding areas. Schedule yours today! DJ is Oelwein, IA had a large crack in one of his basement walls and he had noticed it getting worse over time. He decided to research ways to repair foundations and he discovered American Waterworks. 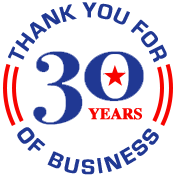 He was pleased to see that we have been foundation repair experts for almost three decades. He decided to give us a call for a FREE estimate, so one of our Design Specialists went to his home to inspect the problem and recommend a solution. DJ was pleased with the solution we proposed, so our production crew started the installation. We installed 6 wall anchors through the cracked wall, which caused the wall to straighten back to its original position. Our wall anchor foundation repair system has permanently stabilized his wall. DJ is glad he chose to protect his most valuable asset.